Forgive me for the lack of blogging lately. I've been enjoying New York and Summer break which for a break has involved alot of early morning wake-ups. That's ok, all of them were totally worth it so there will be no complaining. 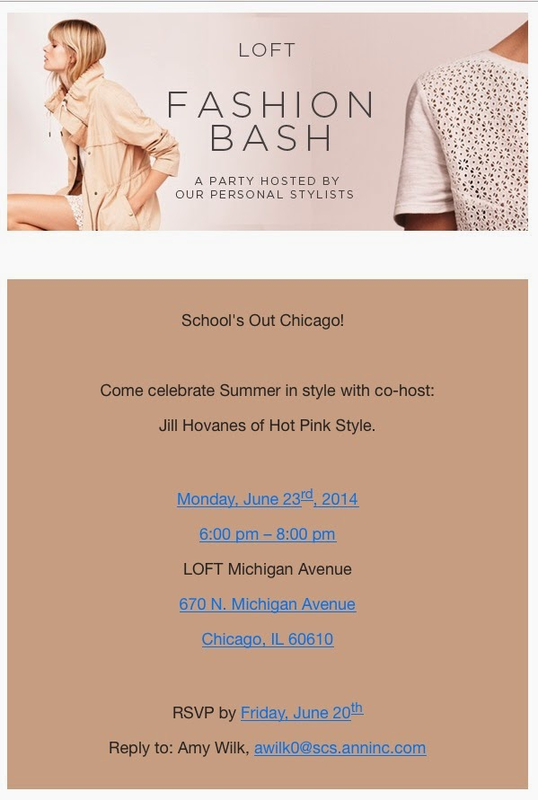 As some of you may know, tonight is my "Celebrate Summer in Style" event at LOFT on Michigan Avenue and I'm so excited! I figured today was the most fitting to show off this LOFT outfit that I knew I wanted the second I passed it in the window display. It looked like a romper to me, and we all know how I feel about rompers, but it's actually separates! So not only are these pieces great together, but they can be used to make endless outfit independently. And the best part is that BOTH pieces are 40% off the sale price right now! Hope to see you all tonight! It's not too late to RSVP! Check below for details.